Concrete is a versatile material which can be used for many things. Would you like to learn how to make pots or candle holders? Do you wish you knew how to make a counter-top, a table, or bench for the garden? 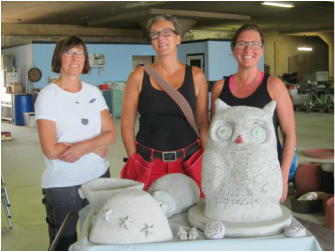 Curious about sculpture methods, armatures, pigments or mosaic? Artists Teresa Holmberg and Jonathan Haner can show you how. The course is two full days on a weekend. We start with a thorough review of materials and techniques - and then we help you to plan and actualize your ideas. Hopefully, you will also find inspiration by seeing what other people in the group are working on. The following week we’ll meet for a half day to open the forms and check out each others work. This is also a time when we can discuss your experience and you can ask follow-up questions. 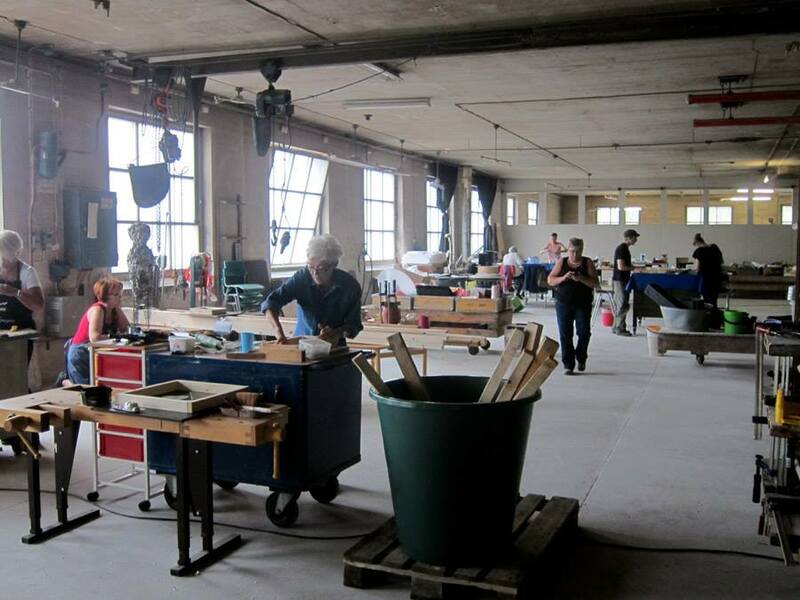 The workshop lends itself to both beginners and those who have worked with concrete before. Join in and let us help you actualize your ideas! Support members of Ifö Center get a 10% rebate on all our activities. You can also become a member! All materials, including food (2 x lunch, 3 x coffee break w snacks/beverages). Please bring your own heavy-duty, rubber gloves, rugged clothing and shoes (or order gloves through us). Notice! We will gather at the guard station 15min before the start time and enter the area together. Please bring your own heavy-duty, rubber gloves, rugged clothes and shoes (or order gloves through us). All materials, including food (2 x lunch, 3 x coffee break w snacks/beverages). Fee payable to bg 594-3832. Do not forget to write your name as reference on your payment.